This is a small auto-biography I suppose you could say. The growing up of a small kid from the West Coast of the South Island, New Zealand. I cannot remember anything of my time in these two places. 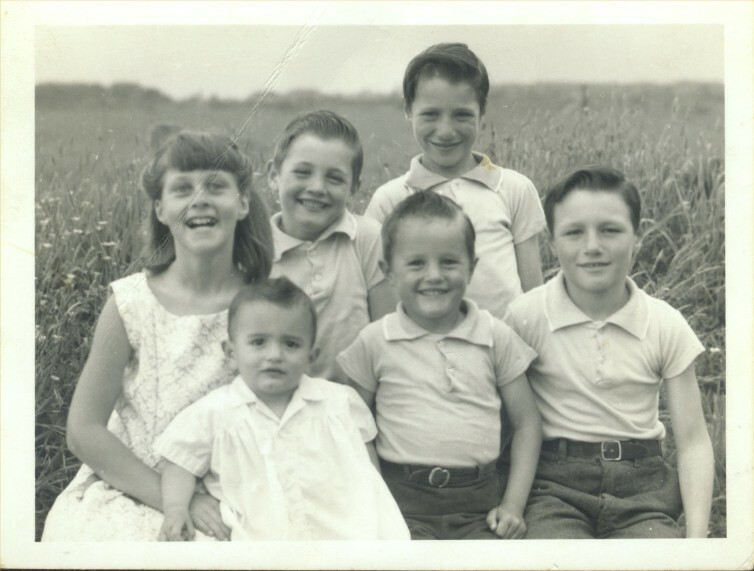 I was born in 1961 when living in Whataroa, then soon after the family moved to another small country village called Hari Hari about 10km north of Whataroa. We lived there for several years only .. then onto Ikamatua, which is where I spent all my childhood. This photo was taken when in Hari Hari. I am the smallest sibling. I don't have very many photo's of my childhood. The below photo is probably the only record I have of Ikamatua also. This was a small village with a mix of farming and saw milling. It consisted of one hotel, one shop, one Post Office, a fire station, a railway station, and two service (petrol) stations. 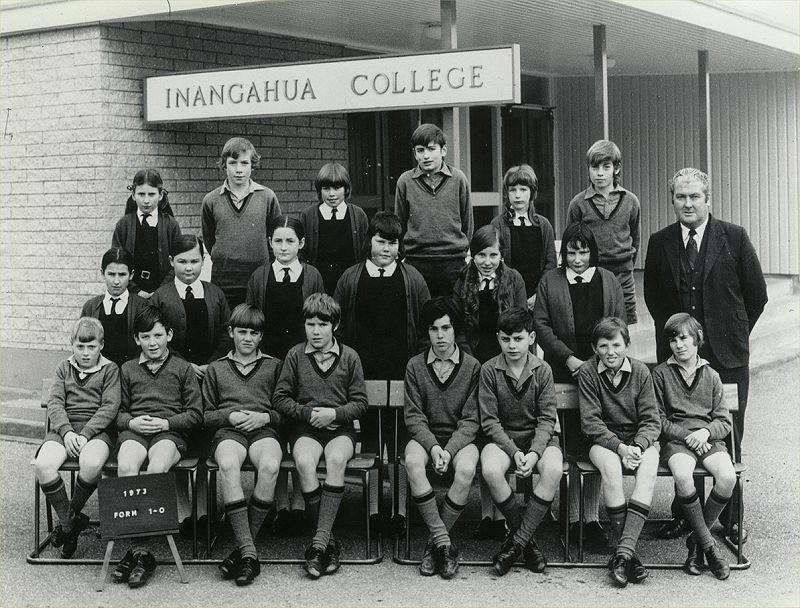 Schooling was a primary school which later closed in the 1990's then when you reached your teens, high school was in Reefton (Inangahua College) 20km north. This was a great place for a child to grow up in. Settled in a valley, and a junction of several rivers. Summer holidays were spent swimming in the clear waters of the Little Grey River, the Big Grey River, or at times, Rough River or Snowy River. Just behind the village was a large area of willow trees. These grew from the remains of the tailings from the Gold dredges that tore up the land. However in their wake, and 20 years later, these turned into lots of overgrown ponds which were great to canoe on. Come winter, the smaller ones would freeze over, and great for ice skating. It wasn't cold enough to stay all winter and normally you had a window of opportunity in the morning before the sun melted it. One of the strongest memories was the night of the Inangahua Earthquake, I believe 6.8 of the Richter scale, and the damage it caused to roads, houses, and services. Ikamatua Primary School was only three classrooms in size, so all children from ages of 5 to 12 mixed, played, and learnt together. It was a lifestyle rather than an education. 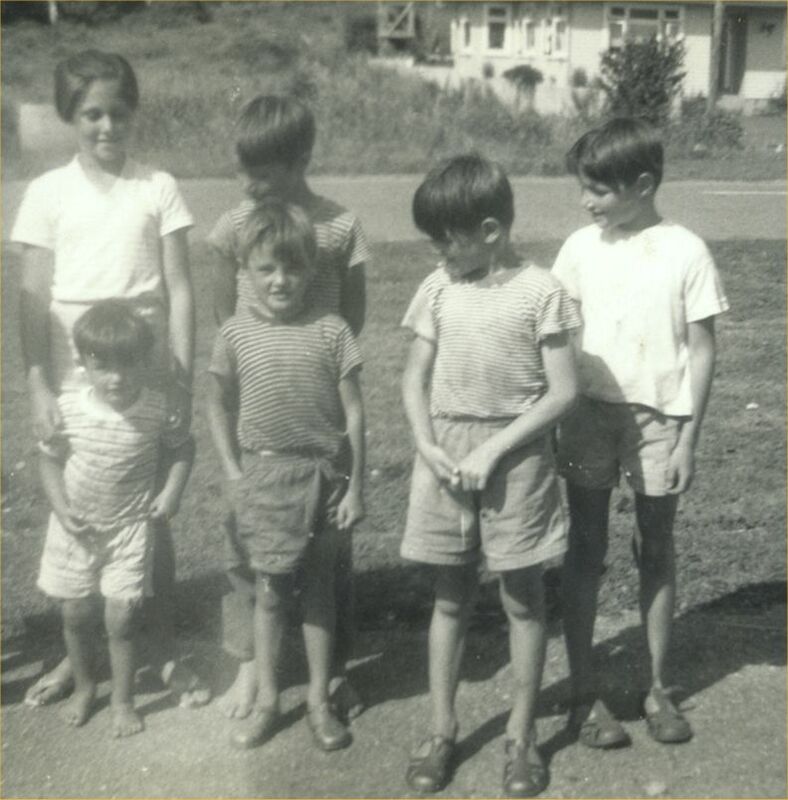 My best mate Dennis Gallagher (bottom row, 2nd from left) and I certainly enjoyed much chaos while growing up here. Alas, as happens to most childhood friendships, once college came along, the friendship ended. These years were also tough years, being a large familly on small wages. 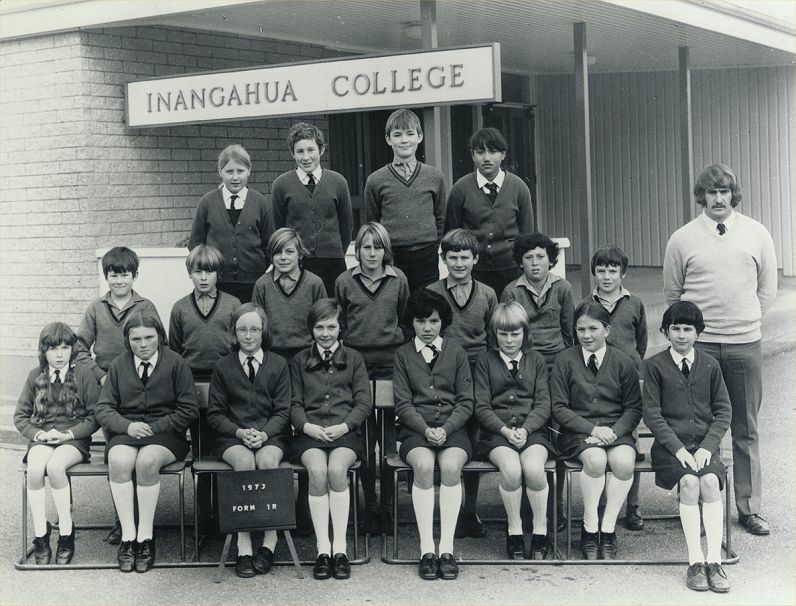 In 1973 I began attending Inangahua College. 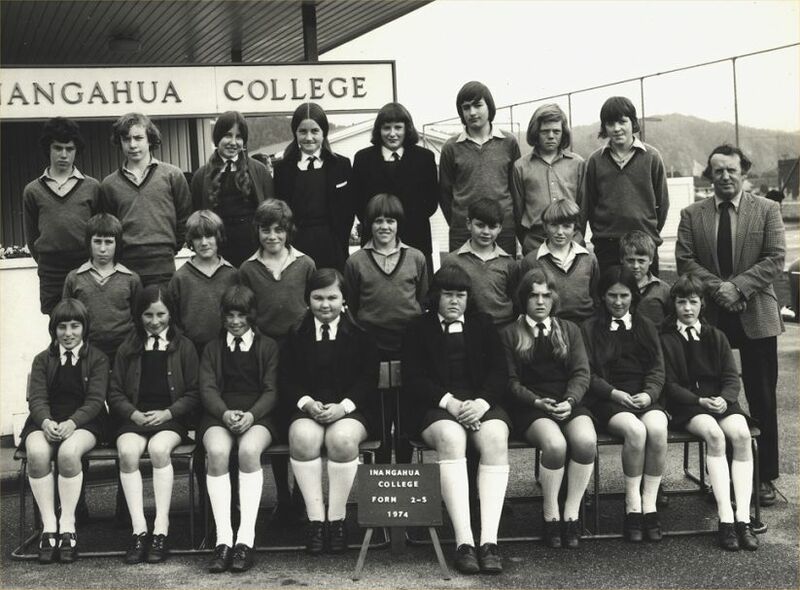 Each day we would catch a school bus and travel 20km to Reefton. At days end the trip back home again. 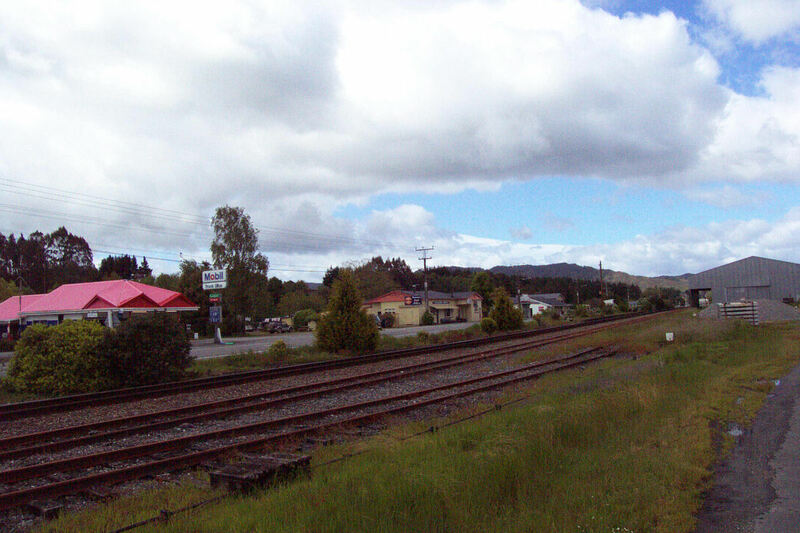 Reefton was situated in a basin, so come winter time it was like 6 months of fog and smog. This was quite frustrating as beyond the basin Reefton sits in was mostly glorious sunshine. above: 1973 I am not in this photo, but the person who had the greatest influence on my life is. - David Poulsen (top row 3rd from left). Adjusting to adolescence and the horrors this brings, I look back and see that if not for him, I would not be here today. He was the son of the local policeman at that time, and his values were rock solid, which he thankfully passed onto me. Thank you my friend. 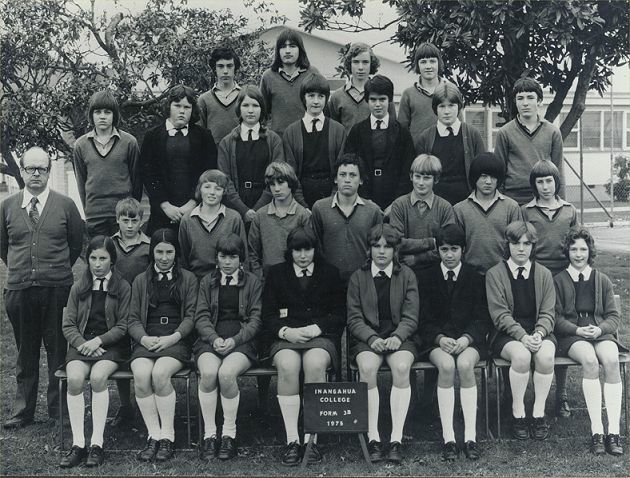 above - 1974 (top row, 3rd from right). I look back at this photo and see so many faces that brought great enjoyment and friendship. This was a class that we all had great enjoyment and even in those wintry foggy days it was still great to go to school. A full list of names is here. David Watson, Allison Pupich, Brendon Spittal, Ian Gilmour, Kieran Murcott, Grant Hallaran, Trevor Watts, Debbie Clark, Debra Waghorn - all were fantastic classmates.. Sadly Kieran and Debbie passed on early in life. One of the best school memories was from this time. I believe it was Wednesday afternoon once a month the school had activities to assist the community. The one I chose was to go into the forests surrounding Reefton to old gold mining towns (long gone) and search for relics. These would then be put into the museum at Blackspoint just east of Reefton. 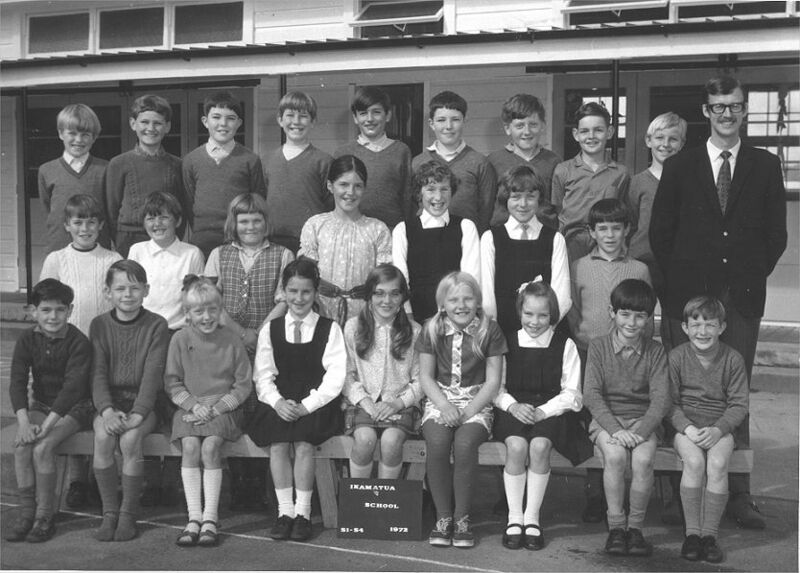 above: 1975 (top row 2nd from left). Yee Gods. What was I thinking? Long hair was in, but this was absurd. I am surprised I was allowed to have it so long. One of the most embarrassing moments in my life. This was the year I began to listen to music. This was also the year I began my 'obsession' with ABBA. In 1976, I began my own top ten report for the regional paper, The Greymouth Evening Star. I was able to report of the phenomenon of their chart success here in New Zealand on a weekly basis..
above: 1977 (top row - 2nd from left). In this year, I left the West Coast for the first time in my life. 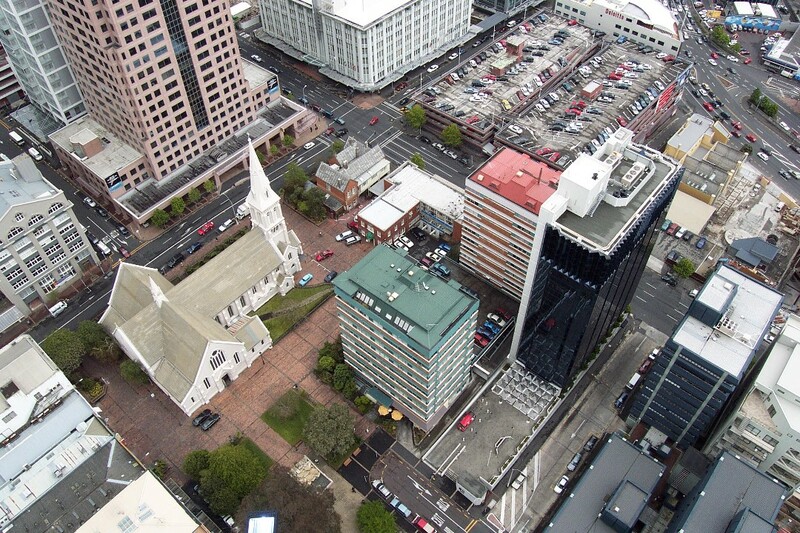 It was a school trip to Christchurch. 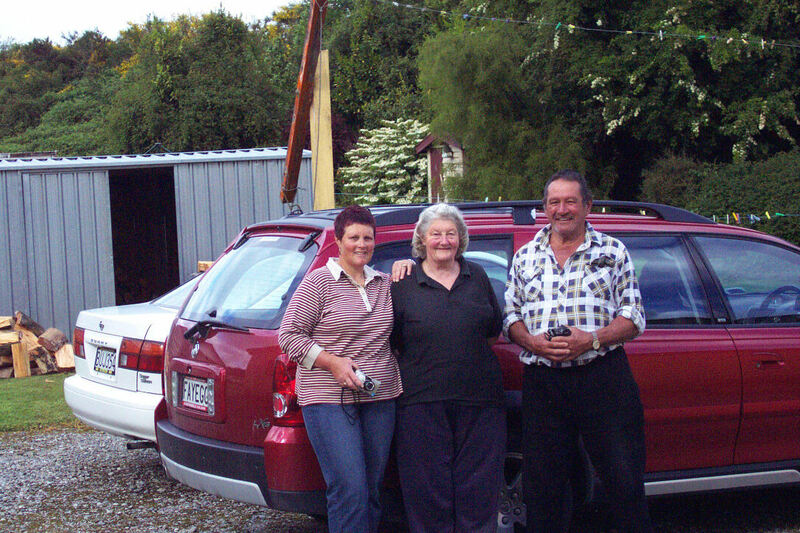 I have no idea as to what the trip was about, but my memories of hitting the Canterbury Plains were total shock. Vast plains of brown grass and not a tree in site. To me it was like going from the rain forests to the Sahara desert. It was a long time since my next trip away from the Coast. I loved the bush, the rivers, the mountains ... the West Coast was my home (so I thought). 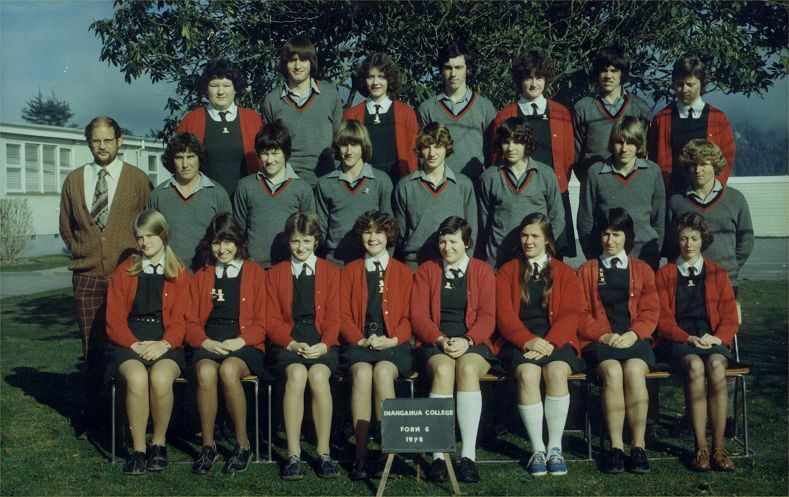 above: 1978 (top row 2nd from left) . I left school midway through 1979. My act of defiance to leave my mark at the school was to lock myself in the school textbook room and sign every book. Yes, 17 years old and still an idiot! 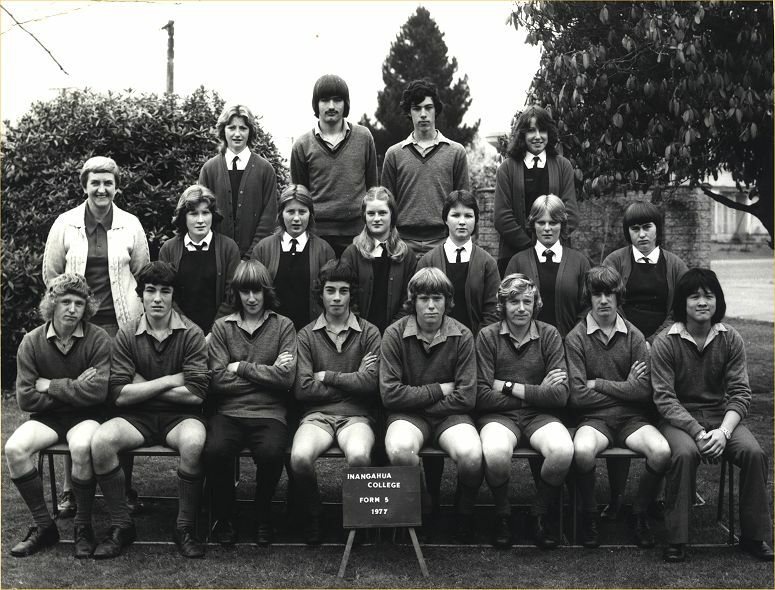 In 1979 I left school to be a bank teller with Bank of New Zealand, and worked in the Reefton branch. This was a small branch with 6 staff. It was a short career, as I yearned to be outside. However, it was 18 months working there. Biggest memories were the large non balance that took weeks to find, and the good old milkman bringing in sacks of coins to count and sort through. I liked picking out the old silver coins for my brother. In 1981/1982 I was also privileged to be a Supervisor for the Grey Main Hostel. 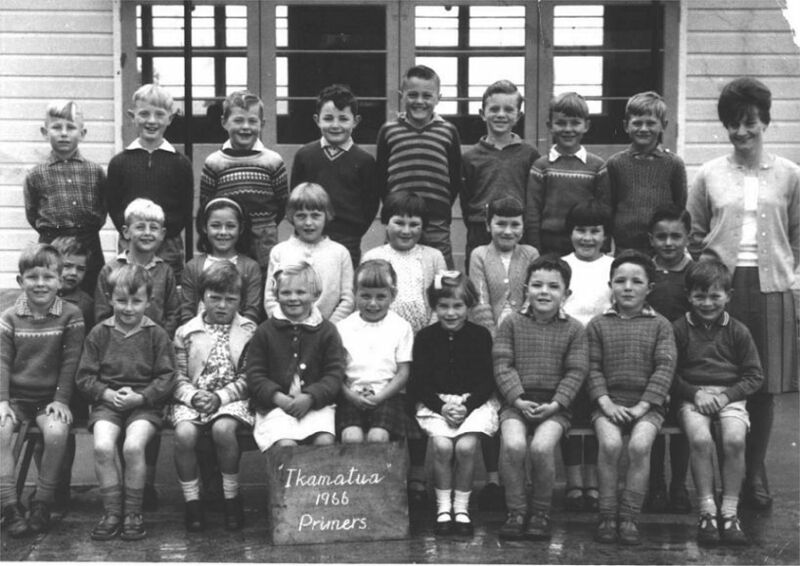 I assisted in looking after the children of pupils that had to stay in Greymouth to attend school while their families lived all over the West Coast. This was short lived, but made great friends from a lot of the pupils. In particular, Roger and Bruce Truman, Selwyn and Llewellyn Foote, Michael and Daryl Hart, and Warren and Brendan Burrows. 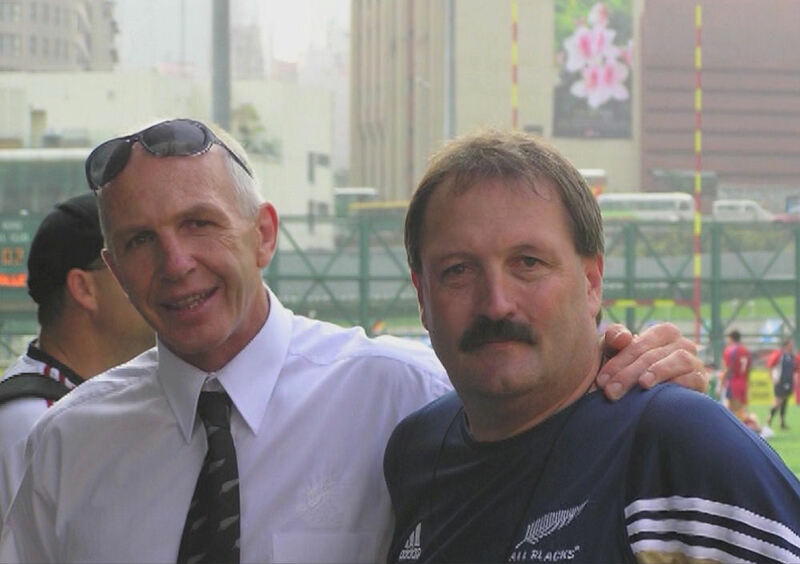 Sadly Selwyn and Daryl are no longer with us. In 1982 I was diagnosed with Ulcerative Colitis and so began my many hospital visits and operations throughout my life. 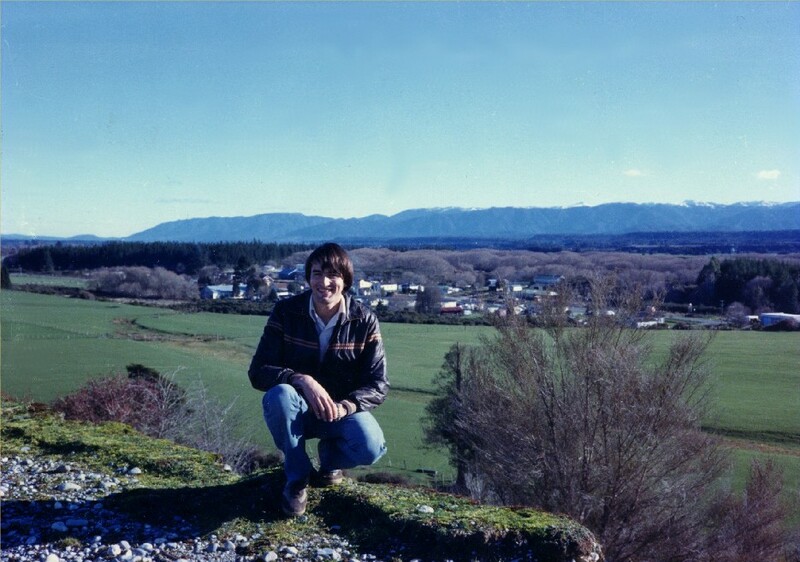 above: 1983 - living in Greymouth. 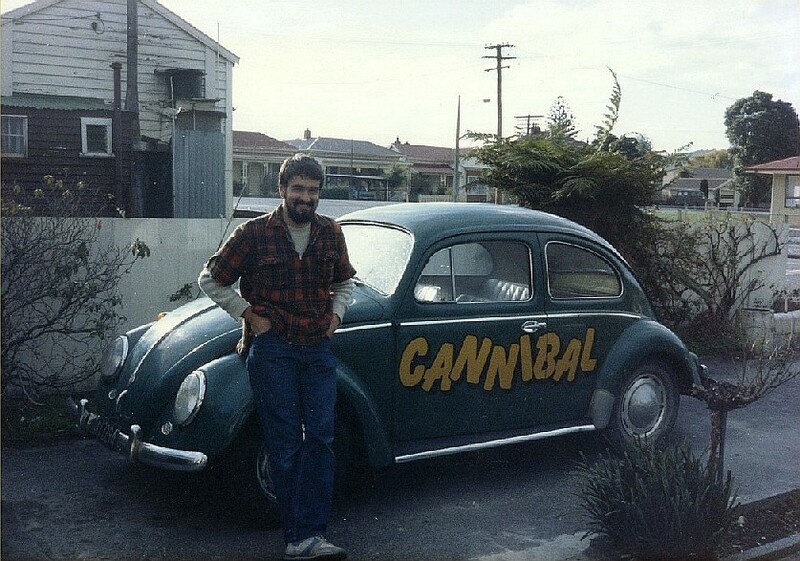 I really liked this car, but alas it wasn't mine. It belonged to a workmate called Jeremy Brasil. By this time in life, many a day off was held at the local games parlours - space invaders, donkey kong, defender, ... oh what a time. I also spent half my salary on an AKAI Prolab Stereo system ... which I still have to this day. And collected as many LP's, EP's and 45's as the remainder of my salary could handle. I was really into the sounds of the eighties, and ABBA were no longer cool. In 1987 was a time of political change in New Zealand, and the days of subsidies were out. As a result, farmers could no longer afford to protect their properties, and the Westland Catchment Board was one of many Government controlled agencies that services were down sized. I was made redundant. Jobs were scarce on the West Coast, so had to leave my beloved West Coast. I moved to Nelson. 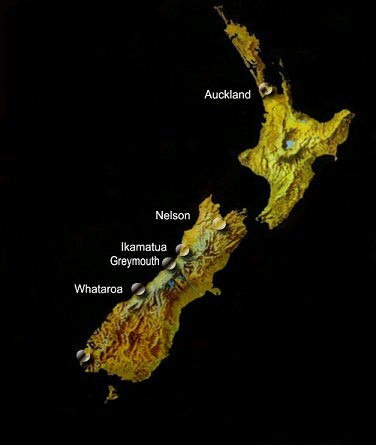 I became a surveyor/draughtsman with the Waimea County Council, which later amalgamated with Motueka, and Golden Bay to become the Tasman District Council. Worked with a great team including Graham Thomas, Alex Shearer, David Currie, Mark Holyoake, and Jocelyn Thompson. However best times were with Lesley Lister, the Engineering secretary who always made me laugh with her antics (learning) on the Computers. To begin there wasn't even Windows ... just DOS. After a while I ended up being the 'face' that Customers went to to find out all information on their properties. This was mostly back to an indoors job, and after one glorious summer of sun and beaches ... the West Coast was forgotten. In 1989 I had a visit in October from my lifetime friend and penpal Jörn Pekrul from West Germany. 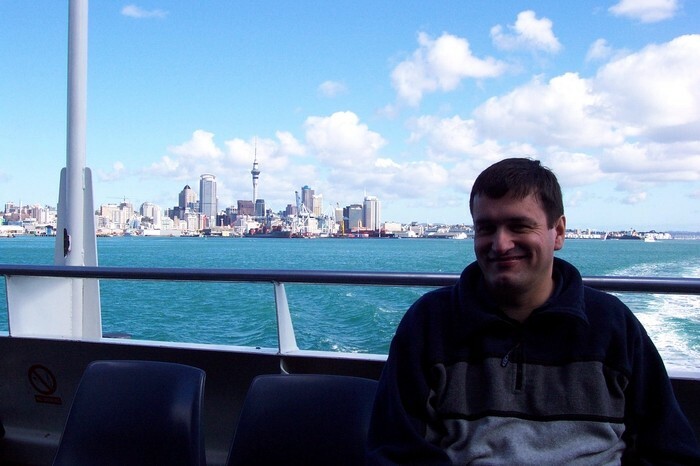 We had a tour of the South Island, but things began to happen in his own country that made him anxious to go back home. History was in the making and he went back to celebrate the falling of the Berlin wall. 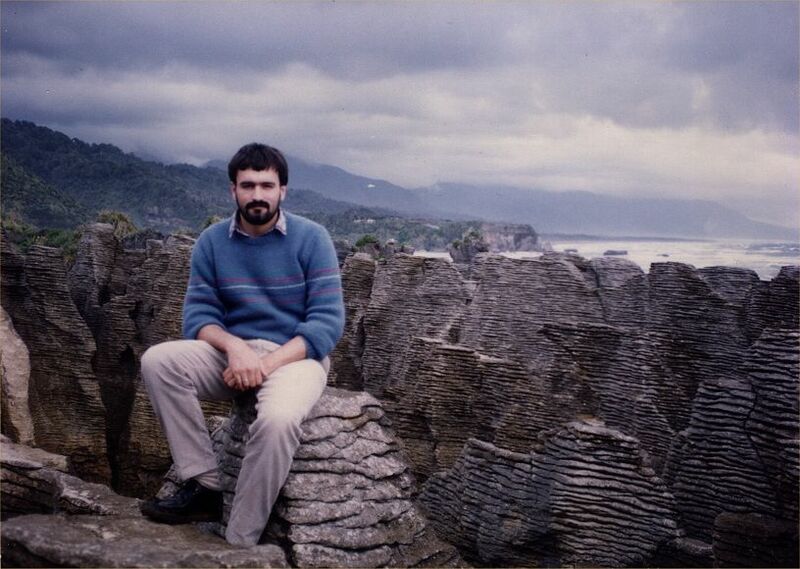 1989 - Punakaiki - West Coast. Known as the 'pancake rocks'. 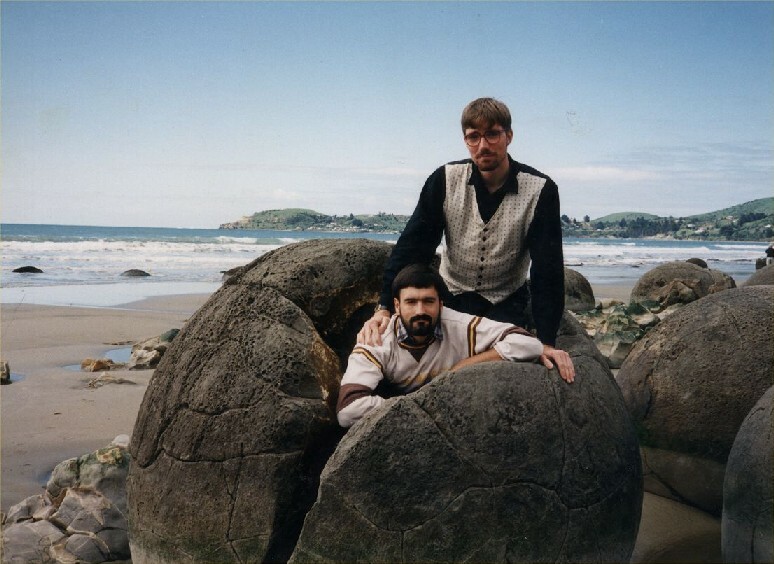 1989 - Moeraki Boulders. 20km north of Dunedin. This was such an amazing site of all these almost spherical rocks coming out of the surf. This site has a gallery of them. Jörn is the other hatchling. 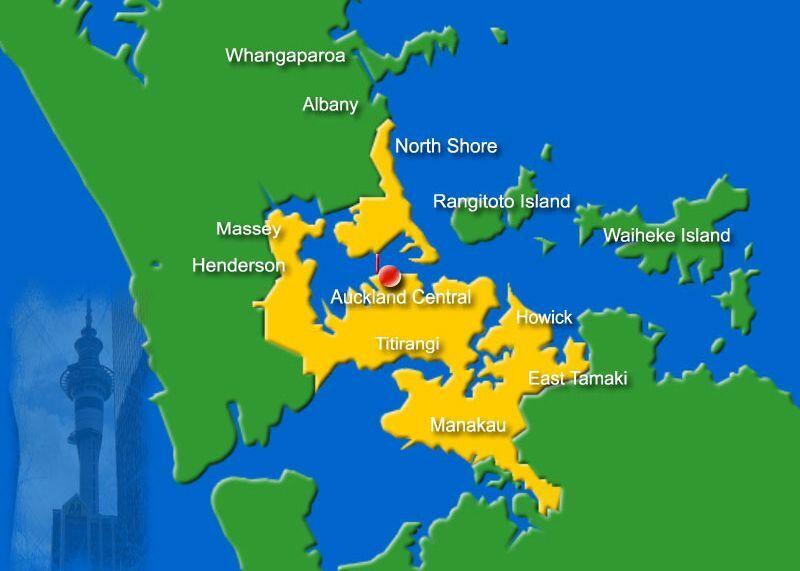 In 1996, due to an opportunity that came up, I moved to Auckland, and lived for a while in Massey, then moved to the central city. 1996 - On the way to Auckland. 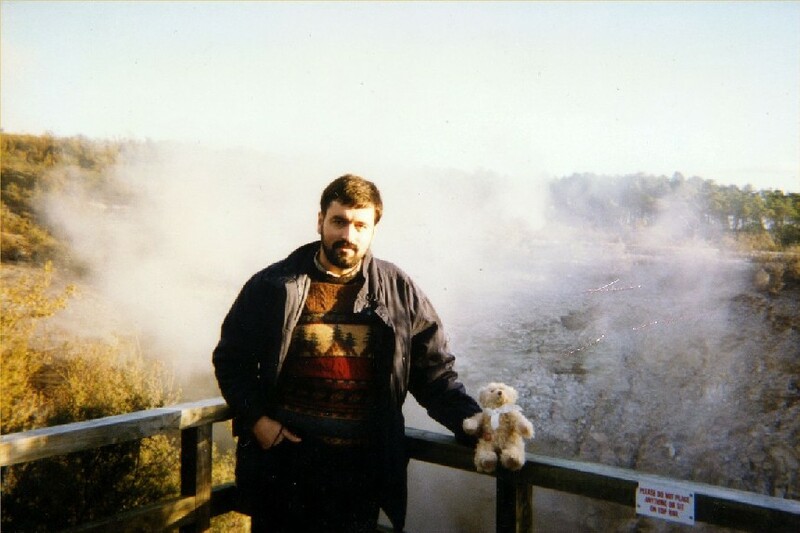 Near the geothermal region of Rotorua. 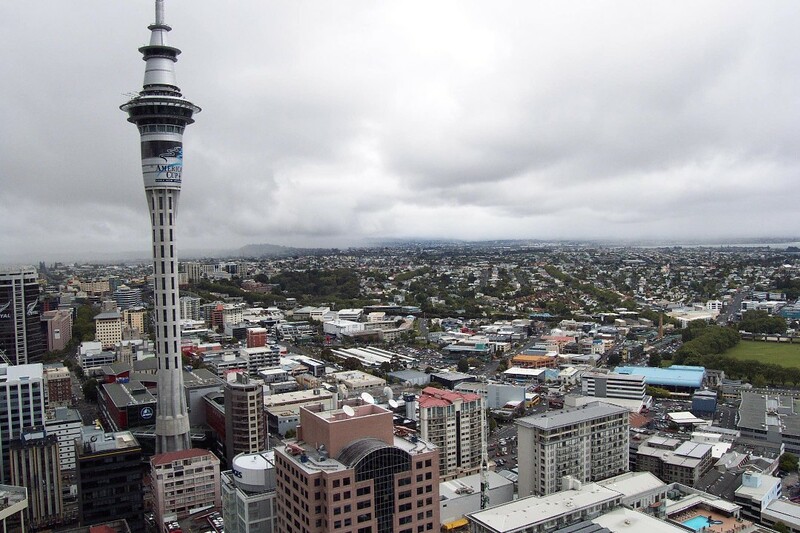 Came to Auckland as a contractor to do surveying and draughting for Telecom copperlines. This was on O/S2 Warp using a product called CableCAD. 1998 - After 16 years of bad health with Ulcerative Colitis, finally had operation to remove large intestine completely. And a pouch was created (proctocolectomy). 95% success rate for this operation... but alas someone has to fall into the other 5%. 1998 - Transitioned to EDS. 1999 - Developed Fibromyalgia. Started the ABBA Picture Gallery in May 1999. 2001 - Well, it had to happen .. the beard went grey, so was time to say goodbye to it. Also moved into the central city. 2002 - A trip to Devonport, on the northern shores of Auckland City. The city can be seen in the background. in the centre of this picture, is an 8 storey aqua greenish building. This is the apartment block I live in. ... to near present day. 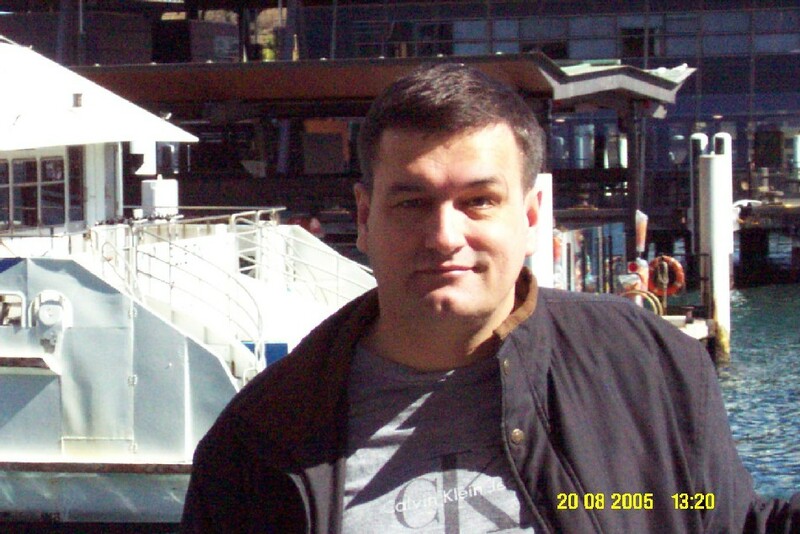 This was a trip to Sydney in August 2005. 2006 - This was a relative bad year health wise. By years end I had been admitted to hospital 11 times, and had 9 operations. The year started of with a fistula that kept reinfecting, despite several Malecot drains, and a Seton drain being inserted. In August, had an ileostomy, which then blocked, so got my first ever ride in an ambulance. In October 2006, went back to my old village of Ikamatua. The place was quite run down compared to last visit 9 years earlier. Saw my parents and sister Faye.